Napa, CA – The Culinary Institute of America (CIA) at Copia, the ultimate Napa Valley destination for exploring, experiencing, and enjoying the world of food and wine, is pleased to introduce its Wine Tasting Showcase—an interactive and immersive tasting experience featuring a rotating selection of wineries from the Napa Valley and beyond. The Showcase is located within the newly installed Wine Hall of Fame. Open daily from noon to 5 p.m., the Tasting Showcase offers visitors a unique opportunity to taste a selection of wines from six different wineries, all in one place. Established in 2007 and originally housed at the CIA at Greystone, The Wine Hall of Fame moved to CIA at Copia to give broader public recognition to the men and women whose vision and determination have made the American wine industry what it is today. 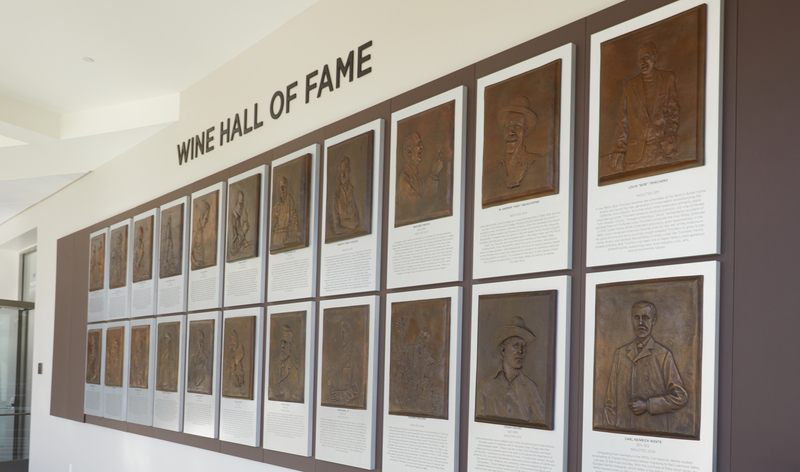 This free exhibit in the light-filled atrium consists of bronze bas relief sculptures of Wine Hall of Fame inductees, along with their biographies. The Wine Tasting Showcase utilizes six custom-built wood bars, designed by local artist Luigi Oldani, that serve as the wineries’ tasting stations. 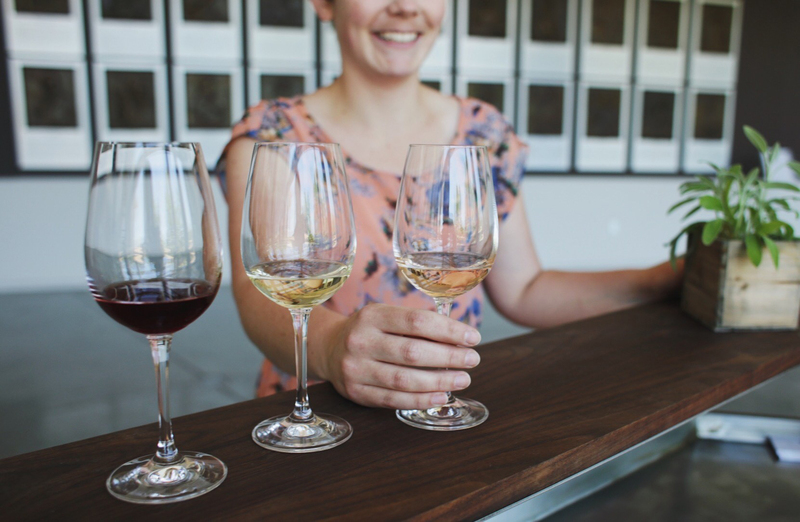 Each winery offers a selection of wines, and guests can choose which wineries they want to visit and which wines they’d like to taste, giving them the freedom to create their own tasting experience—whether it’s comparing varietals, appellations, or individual wines. Stations are hosted by the wineries’ own educators so guests can learn about the wines of each individual winery directly from a winery representative. The collection of wineries will change every few months. Guests may pick up a Copia Card for wine tasting from The Store at CIA Copia. The card can be loaded to any chosen value and used at any of the six wine stations to purchase tasting pours, glasses of wine, or full bottles of wine to be consumed onsite or taken home. Guests may enjoy their wine at the tasting station, in any of CIA at Copia’s indoor lounges, outside in the gardens, or in the Jackson Family Wines Amphitheater. The Copia Card can also be used to purchase items from The Store or to enroll in a class in the Napa Valley Vintners Theater. Visitors will find much to do at CIA at Copia, including shopping, dining, browsing culinary collections, and taking cooking classes. Curious cooks can choose from a wide array of daily cooking classes, demos, and guided beverage tastings—all taught by CIA chefs in the 72-seat Napa Valley Vintners Theater. Shoppers won’t want to miss The Store at CIA Copia, featuring an extensive collection of cookbooks by CIA faculty, alumni, and guest chefs, as well as artisanal food products, cookware, glassware, one-of-a-kind pottery, and more. The Restaurant at CIA Copia is a destination for innovative, market-based, globally inspired, California cuisine that pairs perfectly with Napa Valley wines and craft cocktails. Throughout the property, guests will find culinary artifacts, museum collections, and one-of-a-kind sculptures, which are free and open to the public. In addition, The Chuck Williams Culinary Arts Museum and a state-of-the-art teaching kitchen are slated to open in late 2017. CIA at Copia is also the ideal location for private food and wine events, from an intimate wedding in the amphitheater to a cocktail reception in the atrium, or an industry conference that commands the entire building. Wine Hall of Fame members are nominated by a panel of wine industry peers, and final selections are voted upon by an independent group of wine scholars and journalists, with the annual induction ceremony held at CIA at Copia.